If you've been looking for the ideal camera to join you on your outdoor adventures, then the Pentax K-30 may just be the one. 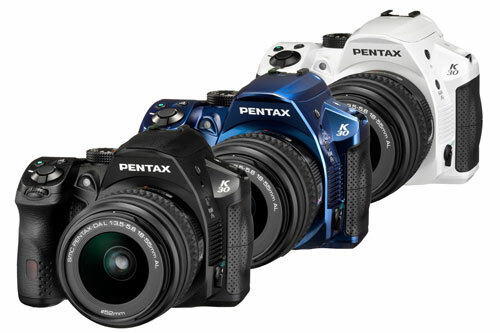 The Pentax K-30 features 81 seals around its buttons and gaskets to keep out water, dust and icicles (if you like to use your camera at 14° F or -10° C). It also provides Full HD video recording with a variety of "film speeds" including 30, 24 and 60 frames per second. 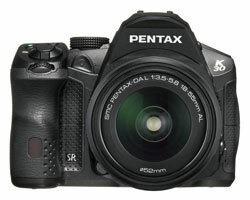 A great feature on the Pentax digital SLRs is their built-in image stabilization. This helps you take hand-held pictures in very dim light without flash and it eliminates blur that is caused by slight camera motion. Unlike the special stabilized lenses created by Canon and Nikon, this stabilization works with any lens that you attach to the Pentax K-30, even old ones. When you pair this with an ISO setting that goes all the way up to 25600, you have a camera that can be used at all times of the day and that doesn't require a bulky tripod to ensure clear shots. For the fashion-conscious photographer, the K-30 is available in metallic blue and white in addition to the traditional black. In-camera Filter Effects — tweak the look of your photos without sitting at your computer for hours by using one of the 19 filters available like "Miniature"